Beat Latino with Catalina Maria Johnson » New Music! ¡Rolitas nuevas para la primavera! New Music! ¡Rolitas nuevas para la primavera! What an amazing Spring we have coming our way! Winter may not want to leave our cities, but the music is getting hotter than ever. 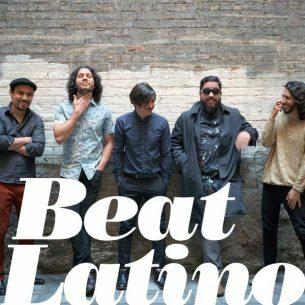 This week’s Beat Latino shares tunes from all over our musical universe, and many of them are really pushing the envelope of Latinidad. Whether the hip hop is all about the future is female – check out Nakury from Costa Rica and Niña Dioz from Mexico accompanied by Lido Pimienta and Ceci Bastida – to experimental tropi-jazzified salsa by Efraín Rozas, to other shades of tropical from Mexico’s Centavrvs, to Cuban classicas made fresh by Orquesta Akokán, nuestra música is an experiment in becoming. who we are. and always have been… informed in tradition but always forward-leaning, future-bound. Enjoy!